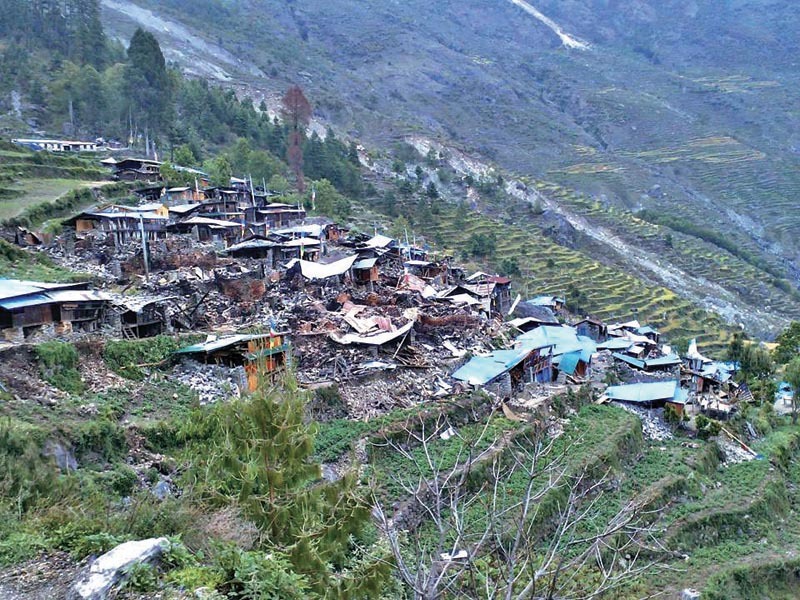 Rasuwa - Most of the public complaints related to facilitating the construction of the private shelters damaged by the April 25, 2015 earthquake have been settled in Rasuwa district. Programme officer of Transparency International (TI) Nepal, Binod Bhattarai, said the TI Nepal has set up its unit in the district to facilitate in reducing the possible corruption that might occur in the reconstruction works. TI Nepal has been carrying out its observation focusing the reconstruction of houses and schools in the district. It is stated that 93 complaints were registered that the family members of those whose name is included in the list of beneficiaries but who are abroad in course of employment were facing difficulties getting the grants meant for house construction. Some of these complaints were also about the engineers deputed for reconstruction had not reached their working areas on time. Bhattarai said 78 out of the 93 complaints have been addressed in coordination with the related bodies. The remaining 15 complaints have been referred to the bodies concerned as these are related to constructions meeting the highway construction standards. He said the TI Nepal has also been monitoring the quality of the construction materials being used in the reconstruction works.